On February 7, 2014 Symphony Space performing arts center in Manhattan pays tribute to “the women warriors of new music” with a concert that marks a quartet of anniversaries, including the 70th birthday of Cuban-born composer/conductor Tania Léon. During this ‘Uncommon Women’ Concert, the Cassatt String Quartet will perform the world premiere of Léon’s Ethos for Piano and String Quartet as well as two other items. Ethos is dedicated to the memory of Isaiah Sheffer, the late Founding Artistic Director of Symphony Space and a longtime acquaintance of the composer. Ethos was commissioned by Symphony Space with support from the New York State Council on the Arts Individual Artists Program. 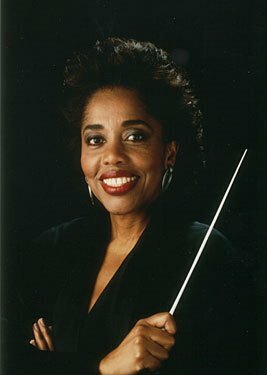 Tania León (Havana, Cuba; May 14, 1943) is highly regarded as a composer and conductor and recognized for her accomplishments as an educator and advisor to arts organizations. She has been profiled on ABC, CBS, CNN, PBS, Univision, Telemundo, and independent films. Her opera Scourge of Hyacinths, based on a play by Wole Soyinka with staging and design by Robert Wilson, received over 20 performances throughout Europe and Mexico. Commissioned by Hans Werner Henze and the city of Munich for the Fourth Munich Biennale, it took home the coveted BMW Prize. The aria ‘Oh Yemanja / Mother’s Prayer’ was recorded by Dawn Upshaw on her Nonesuch CD, The World So Wide. Commissions include works for the Orpheus Chamber Orchestra, New World Symphony, Koussevitzky Foundation, Fest der Kontinente (Hamburg, Germany), Cincinnatti Symphony, National Endowment for the Arts, NDR Sinfonie Orchester, American Composers Orchestra, The Library of Congress, Ensemble Modern, The Los Angeles Master Chorale, and The Kennedy Center for the Performing Arts, among others. Her works have been performed by such orchestras as the Gewaundhausorchester, L’Orchestre de la Suisse Romande, the China National Symphony, and the NDR Orchestra. She has collaborated with authors and directors including John Ashbury, Margaret Atwood, Rita Dove, Jamaica Kincaid, Mark Lamos, Julie Taymor, and Derek Walcott. In 2012 she received a Grammy nomination for Best Contemporary Classical Composition and a Latin Grammy nomination for Best Classical Contemporary Composition; in 2013 she was the recipient of the prestigious ASCAP Victor Herbert Award. A Professor at Brooklyn College since 1985, she was named Distinguished Professor of the City University of New York in 2006. In 2010 she was inducted into the American Academy of Arts and Letters. The full original article is at http://www.broadwayworld.com/bwwclassical/article/Tower-Leon-Oppens-and-Cassatt-Set-for-UNCOMMON-WOMEN-at-Symphony-Space-27-20140116. Symphony Space is a multi-disciplinary performing arts organization at 2537 Broadway at 95th Street on the Upper West Side of Manhattan, New York City. The February 7 ‘Uncommon Women’ Concert starts at 7.30 pm. For more information, visit http://www.symphonyspace.org/event/8041/Music/uncommon-women. Tania León’s website is http://www.tanialeon.com. Two brief video interviews with León are at http://www.youtube.com/watch?v=SpXH149-bBY (2007) and http://www.youtube.com/watch?v=t86ZVBvVYa4 (2013).